Frogtown has been an “up and coming” neighborhood becoming an extension of Silver Lake, Echo Park, Los Feliz and Atwater. Originally named Elysian Valley, it became to be known as Frogtown in honor of the amphibians that would take over the streets during the rain. Frogtown is not the hidden enclave it once was. 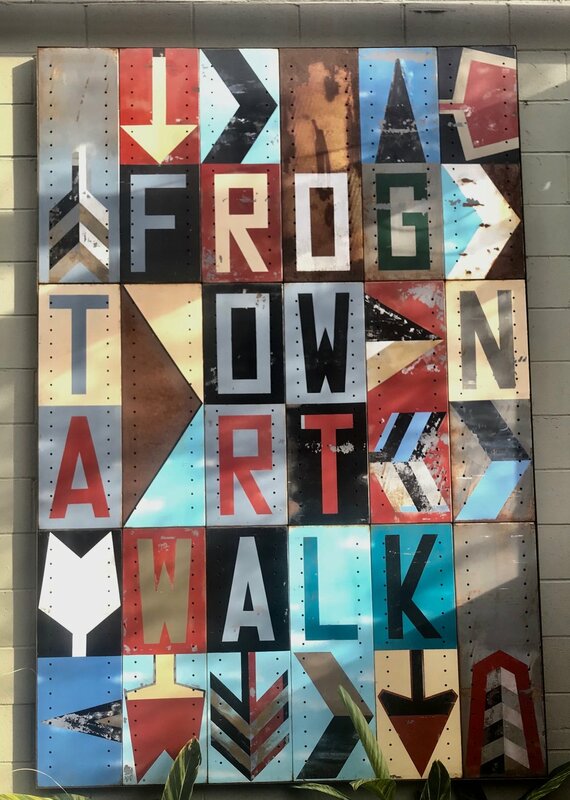 With a collection of art and performance spaces, The Frogtown Artwalk, the newly tranformed Marsh Park, Kayaking, and part of the LA River bike path it’s more or less become an extension of nearby Echo Park and Silver Lake. Wild Life along The Los Angeles River near Silver Lake, Echo Park, Los Feliz and Atwater. In the summer months you can sign up for a kayaking and bike riding trip. I loved it, especially when I was the first one in the group to fall into the river and embarrass my son. 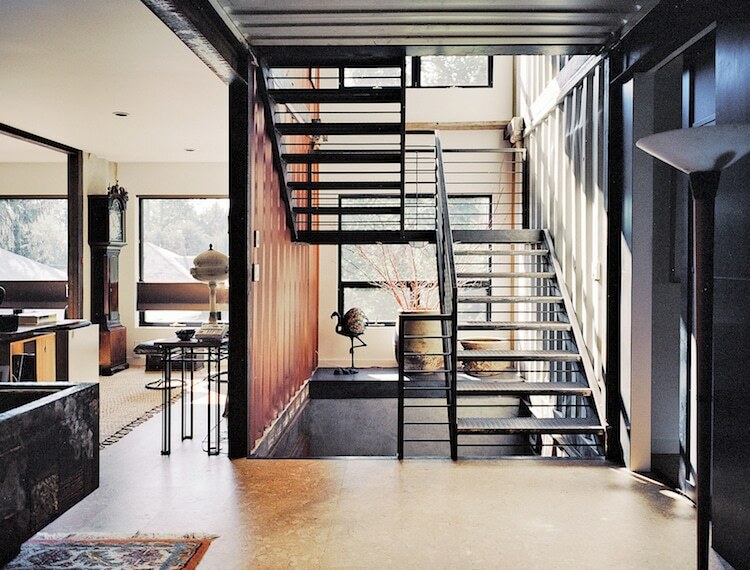 One of my favorite home trends is the eclectic, eco-friendly shipping container home. Yes, it is exactly what it sounds like! Though it’s not entirely mainstream, the trend has been around for nearly twenty years. There has been an effort to make home construction more green, and shipping container homes are one way to accomplish a sustainably sourced home. Because of these containers’ previous function in overseas transportation, they are mold resistant, won’t rust, can hold tons of weight, and plenty large to create a comfortably sized space in your home. Typically, they measure 20-40 feet long and 8 feet high, creating a great shape for a modern architectural look. Another great advantage to these homes is cost. Previously owned boxes can be purchased through a broker, eBay, or possibly someone local for a few thousand dollars each. But make sure to be mindful of the condition they’re in before buying! It’s highly recommended to see the containers in person before buying, considering there could be noticeable wear and tear from their time transporting cargo. 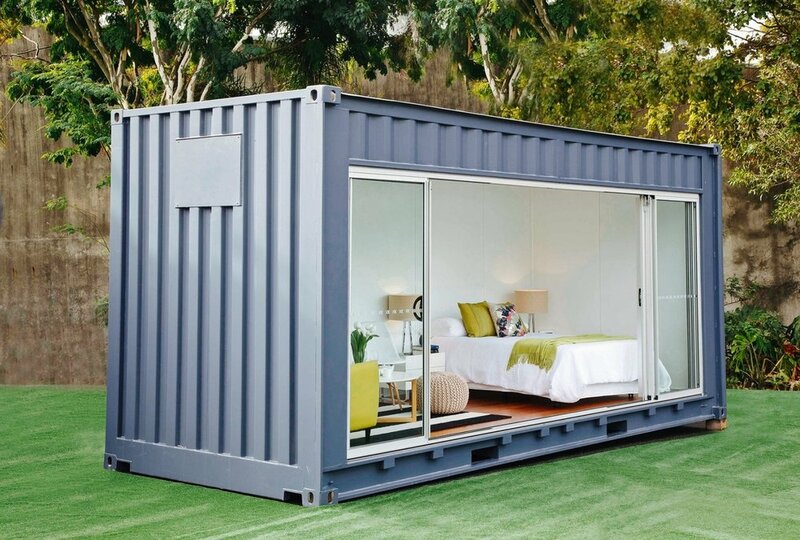 To avoid that potential issue, it’s also possible to buy shipping containers brand new for a slightly higher price. 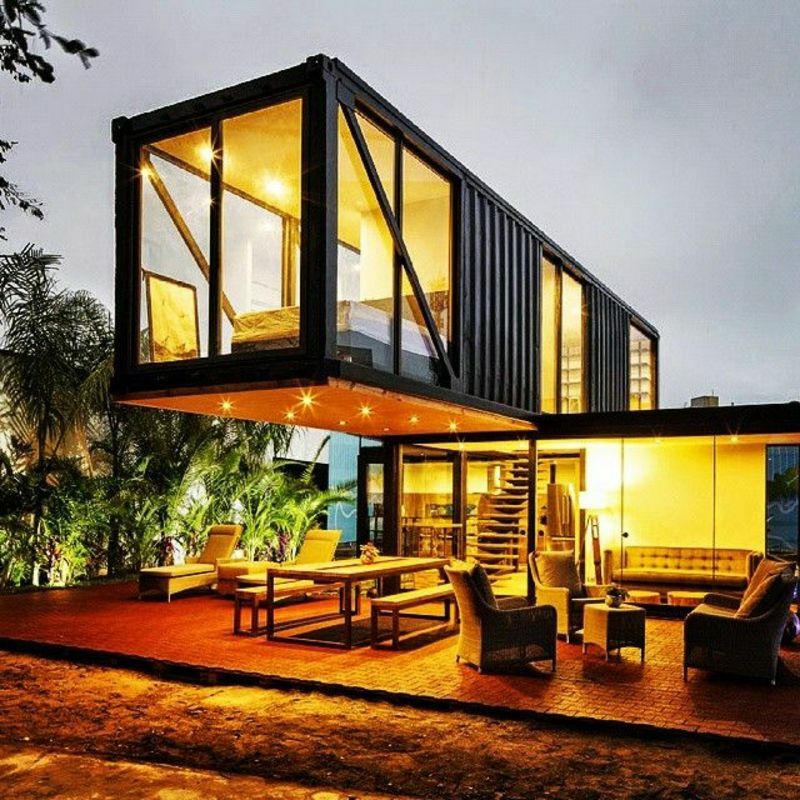 However, the appeal for many container home owners is the process of up-cycling the abandoned containers and reducing waste. But no matter what the motivation for building one of these homes, they are without question some of the most fascinating homes around. One of the best services I can provide to my clients is an extensive knowledge of the city of Los Angeles. As I discover new boutiques, restaurants, and experiences that make our city so exceptional, I'll be sharing them with you here in this new feature on my blog - Where To Go, What To See. To kick it off, let's take a look at Allright Collective in Miracle Mile! Photo via @allright.collective on Instagram. 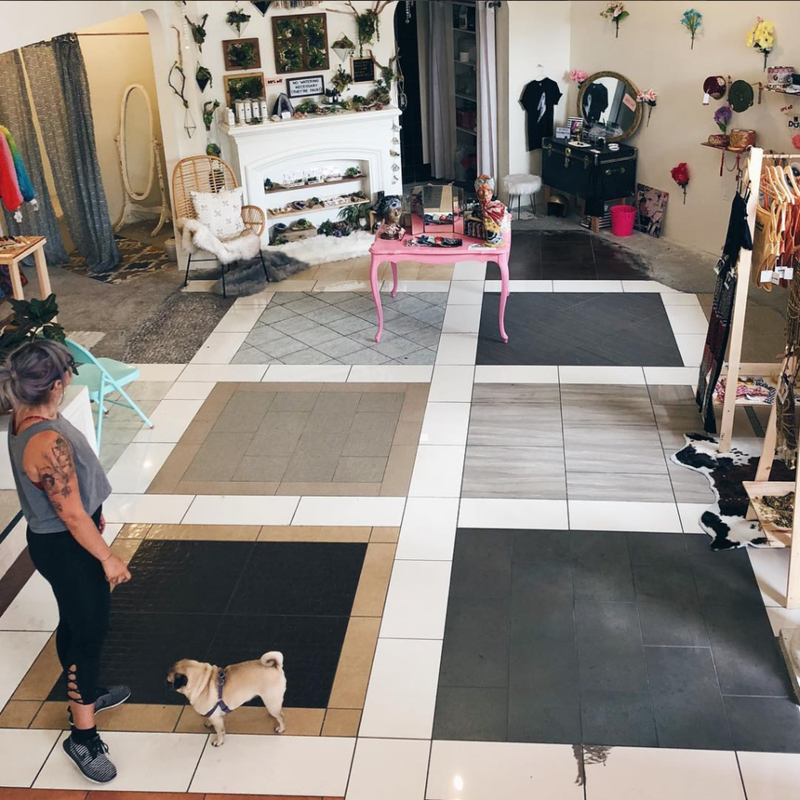 Allmost Studio & Gallery is an art space in MidCity Los Angeles that aims to be accessible, support small businesses, and emphasize the value of DIY. As of last spring, they have expanded that mission by transforming their gallery space into a thoughtfully curated makers market called Allright Collective, featuring LA local designers, crafters, and artists. The interior of the market, overflowing with personal flair. Photo via Allright Collective. Keeping things fresh from month to month, Allright also hosts rotating artists showcases, monthly events, workshops, and more. 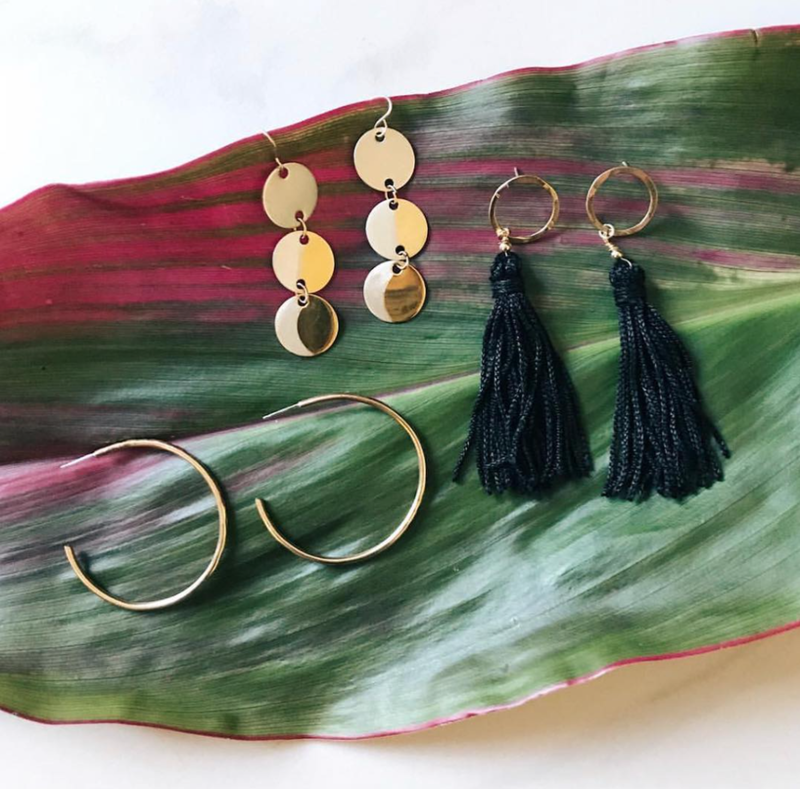 Every third Saturday of the month, they host So-So Saturdays, where you can come hang out in the market spaces for drinks, shopping, and a workshop. Allright vendor Twig and Stone (@twigandstone on Instagram) arranging their product for shoppers. Photo via Allright Collective. Formerly an old tile shop, the space is a unique vision of interesting architecture that creates a truly inviting atmosphere with it’s eclectic furnishings and abundant natural lighting. While Allright lives downstairs, Allmost has studios for rent upstairs, and offers photography bookings as well as membership packages for their communal space. Stunning handmade earrings by vendor In Reverie Jewelry (@inreveriejewelry on Instagram). Photo via Allright Collective. Allright's summer hours are Wednesday - Sunday, 12 PM - 7 PM! The market is run co-op style by the vendors, so pop in to see this gorgeous space and say hello to the incredible artists who make the magic happen! Rx Candles (@rxcandles on Instagram) fills the space with sweet scents while you shop, and you can pick one up for yourself. Photo via Allright Collective. The Brander House, c. 1959 Eugene Kinn Choy, A.I.A. 3 bedrooms (plus an office), 4 bathrooms. Privacy, unstoppable city to ocean Views, spacious pool, lighted tennis court, flat grassy lawn, gated circular driveway, 4 car garage, separate art studio. 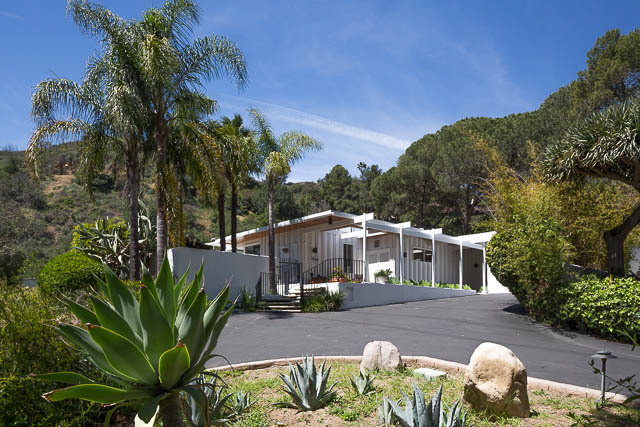 Hidden away in an elevated enclave, The Brander House affords discerning lovers of true mid-century architecture the wonder of yesterday's sleek perfection in design, as it effortlessly embraces the decades. Immortalized by architectural photographer Julius Shulman and featured in The Los Angeles Times Home Magazine, this is a rare Hollywood Hills lease opportunity. Classic mid-century feng shui living room. Post and beam entry designed by Eugene Kinn Choy. Breathtaking sunrise view through the windows. Exquisite layout of this Hollywood Hills masterpiece. Photo by Julius Shulman from the Getty Museum Collection. Since the Tax Cuts and Jobs Act were this tax reform plan will have on them. 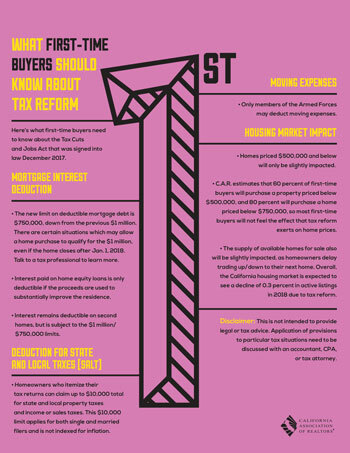 To help explain some of the major provisions affecting Since the Tax Cuts and Jobs Act were signed into law, many are concerned about the impact housing in California, the California Association of Realtors has created various one-sheet handouts detailing the impact that this tax reform plan may have on first-time buyers, home sellers and homeowners. Please check out these one-sheets and see how the new tax reform will affect you. Always discuss this with your accountant, CPA, or tax attorney for legal or tax advice. Only a Few More days to apply for Earthquake Brace and Bolting.